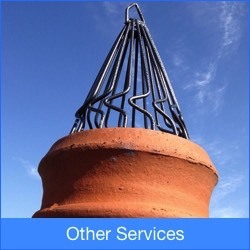 In addition to standard bird proofing, we also carry out a number of other closely related services. Please contact us to enquire about the other services that we offer. If the infestation is particularly severe or in an area where proofing is not praticable (such as a loft or roof space) we can psysically remove the birds by either shooting or trappping. This is usually only used as a last resort and is only effective when used with other proofing measures - removing the birds just creates a vacuum which is soon filled by other birds. 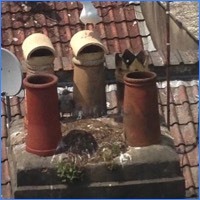 Where gulls are nesting on a roof or chimney we can offer Gull colony intervention and scaring programmes which consist of regular visits to a premises to remove Gull nests and eggs. This is a proven long term solution to significantly reduce the population of a Gull colony. 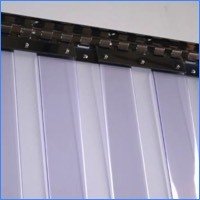 PVC curtain strip doors can be installed to prevent birds gaining access to areas where doors are left open all the time. This is especially useful for areas like warehouses and loading bays. 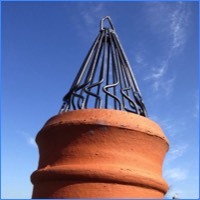 Installation of chimney guards to prevent birds such as Jackdaws, Gulls and Pigeons from nesting or falling down chimney pots.. Following a bulk bird fouling removal, we can optionally carry out a more thorough cleaning service, such as pressure washing or window cleaning. 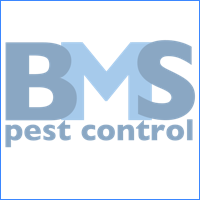 General pest control works, including the treatment of all insect and rodent pests, is carried out through our sister company BMS Pest Control.